Curlingcalendar bonspiel information is available as several RSS feeds! You can easily get new bonspiels to appear on your personal homepage such as iGoogle. Our content can also be easily embedded to other websites. For example a club or national curling association can easily have bonspiels from their own country to appear on their websites. 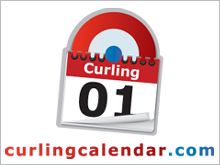 If you like Curlingcalendar as much as we do, you are more than welcome to show it to the rest of the world! To make it easy we have prepared you a couple of ways to do it. Like Curlingcalendar and let your friends know about Curlingcalendar. You'll find the Facebbok like and Twitter follow buttons from the home page of Curlingcalendar.com.